Sometimes things just all fall into place. That’s what happened when Andrea DeSimone walked into Thompson Chemists a few weeks ago. 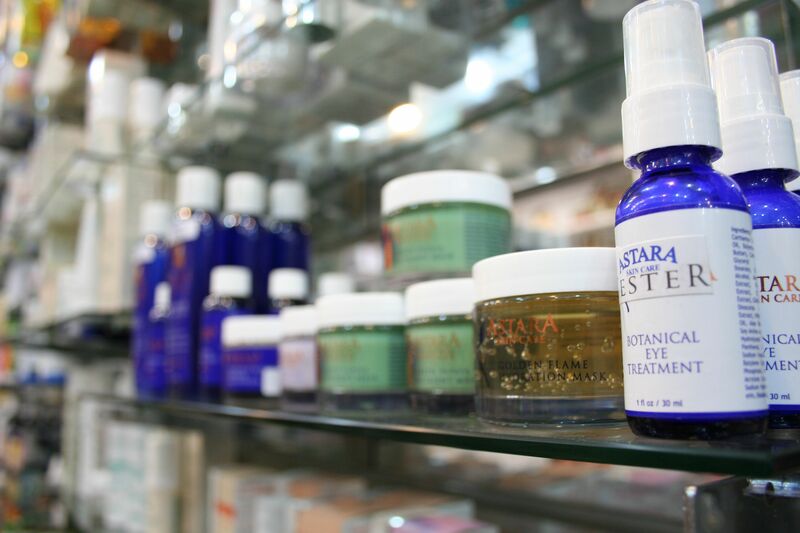 Andrea, in addition to being a licensed aesthetician, also represents a line of clean, minimally processed “raw” skincare called Astara. This was, incidentally, exactly the kind of line we had been looking to bring into our Thompson Street location. But, not wanting to get overly excited about the line, I had Andrea send me home with a nice big jumble of samples so that I could experience the products as part of my daily routine. Well, like I said, sometimes things just fall into place and I was head-over-heels from day one. Finding a product that a) works, b) is clean/non-toxic, c) is pleasant to use (i.e. no funky “au naturel” type smells…) and d) is perfect for my skin is very difficult to come by. Or at least it was, before Astara. My favorite product is the Green Papaya Nutrient Mask. Formulated with extracts of Papain, Grapefruit, Sweet Orange, Lemongrass, Sandalwood, Ylang Ylang, Vitamins B5, C and E, Comfrey, Calendula, Sugar Cane, Passion Fruit, Mango, Papaya, and Pineapple (phew thats a mouthful! ), this mask is perfect for sensitive skin or troubled skin. 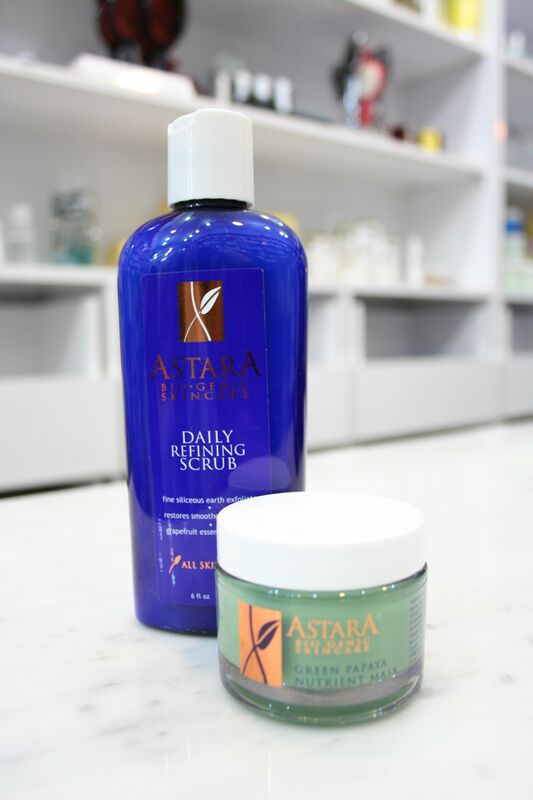 Its enzymes work to gently exfoliate, while the vitamins and antioxidants refresh, soothe and moisturize. I follow Andrea’s advice and use the Daily Refining Scrub to remove the mask. This helps slough off dead cells that were loosened by the mask’s enzymes. It is also a safer, more gentle way to exfoliate because the mask’s clay base acts as a barrier between your skin and the exfoliant. Additionally I just find the whole process luxuriant. My roommates are getting used to me “getting green” on a regular basis now.